The User Activity screen displays a summary of account activity for the selected username and month. 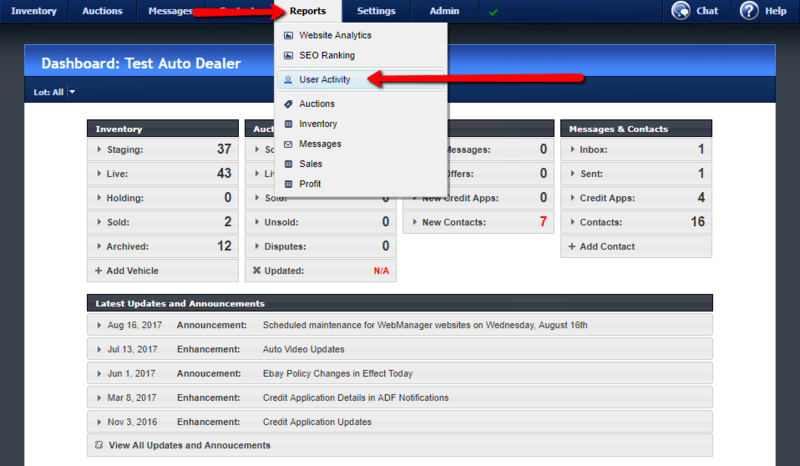 To access the User Activity screen, hover the mouse over Reports, and click User Activity. And replies sent to messages/contacts and contacts created. You can view activity for any month from the time your WebManager account was created to the present month. Account administrators can view activity for any account user.